Kaplan Pathways in Australia partner with two of Australia’s top universities. Take your first step towards undergraduate studies and academic success at university in Australia. Our pathways colleges in Australia are part of a global network with over 10 years of experience in delivering pathway programs to international students. 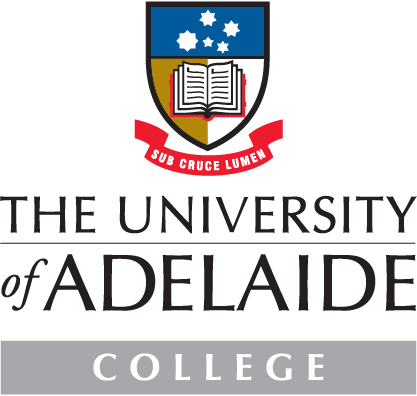 The University of Adelaide College, Adelaide provides a range of direct entry pathway options and is the preferred pathway partner of the University of Adelaide. Murdoch Institute of Technology, Perth provides a range of direct entry pathways to Murdoch University. Students who are interested in studying with Kaplan in Australia can expect to choose between our foundation and university level programs, both of which are designed to provide a seamless transition into the first or second year of undergraduate studies at our partner universities. Kaplan provides academic counseling to students to ensure their chosen pathway satisfies their academic needs and aspirations. Our colleges offer students additional academic and pastoral support when compared with university. Smaller class sizes allow our academics to provide each student the support they need to succeed. We are as committed to helping you achieve your educational and career goals. Your success is how we measure our own. As a part of the University population, our students have access to many of the world-class university facilities. Our programs are stream-based and degree focused, with students able to study the university curriculum in a supportive yet academically challenging environment, so that upon successful completion students satisfy the entry requirements for their chosen degree. The universities govern curriculum and assessment ensuring the highest academic quality. Progression is guaranteed providing the student meets the required academic standard/ completes their pathway program successfully. Not sure if you have secured the marks needed to go to University? Read on to find out more about how we can help you achieve your academic and career goals through our alternative entry pathways to your selected undergraduate program at one of our partner universities. Once you have gained proficiency in English, you’ll complete your Foundation or University Preparation program and enter your chosen Bachelor Degree in Year One at university. On successful completion progress from your Diploma or Degree Transfer program to the Second Year of your Bachelor Degree at University. experience providing pathways to university. Our Pathways business is part of Kaplan International Pathways. Kaplan International Pathways works in partnership with a selection of Australian, UK and US universities to provide individual support and academic guidance through degree preparation and alternative entry programs to international students. In 2014, Kaplan International Pathways helped more than 12,000 international students from 108 countries gain entry to undergraduate and graduate degrees at more than 40 prestigious universities around the world. Students who choose to study at one of Kaplan's pathways colleges benefit from small class sizes, extra English language support plus one-to-one academic and pastoral support. Our pre-university preparation or foundation level courses provide students, who have completed the international equivalent of Australian Year 11, with the core subject knowledge and study skills vital for success at university. The depth of the curriculum and breadth of learning serve as ideal preparation for the first year of undergraduate studies. We offer a variety of programs, catering for student’s individual academic needs and aspirations. Students who have completed the international equivalent of Australian Year 12 may choose a diploma or degree transfer program, preparing them for entry in to the second year of an undergraduate degree at one of our partner universities here in Australia. Our academic English programs are designed to provide international students with the English language skills required to enter, confidently participate and successfully complete their chosen tertiary program. Program length maybe tailored according to language level and desired pathway. Kaplan offers a range of pre-university programs through our pathways colleges here in Australia in partnership with our prestigious university partners. 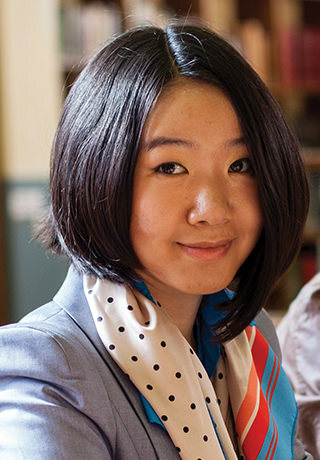 The University of Adelaide provides students with a pathway to undergraduate studies at the University of Adelaide—consistently ranked in the top 1% of universities worldwide and one of Australia’s prestigious ‘Group of Eight’ universities. Located in the heart of the city of Adelaide, the College provides the thorough preparation, guidance, support and encouragement needed to help students fulfill their academic potential. The College is proud to be the University’s preferred pathway partner, successful completion of our Foundation Studies or Degree Transfer Programs provides students with a guaranteed place in the first or second year of their selected bachelor degree. Murdoch Institute of Technology (MIT) provides students with the academic foundations required for undergraduate studies at Murdoch University—placed in the top 2% of universities globally (QS World Rankings). Located on-campus, students have access to a range of campus facilities and benefit from the supportive yet academically challenging learning environment. Murdoch Institute of Technology offer both Australian and international students the opportunity to follow an alternative entry pathway into either year 1 or 2 of a bachelor degree at the university and go on to achieve their study goals and fulfil their career aspirations.